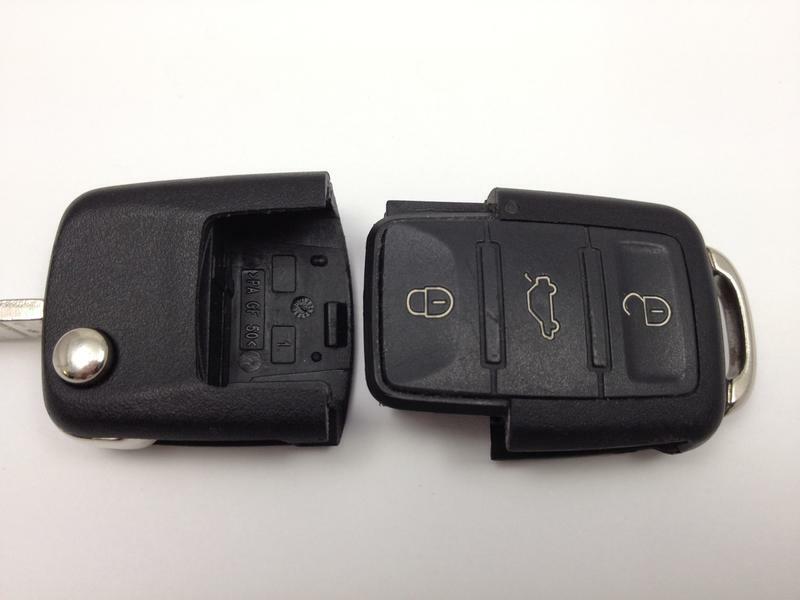 A "how to" guide to changing a Volkswagen key remote battery in the older style model. 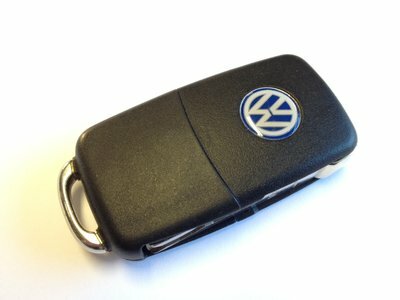 If your key has a blue VW logo on the back, like this picture, it's the original type. Newer style remotes have a black and silver VW logo. The video below gives the instructions for both types. Having established you have the older style of remote, flip the key blade out. Turn the key on it's side so that you are looking at the area that the blade sits into. 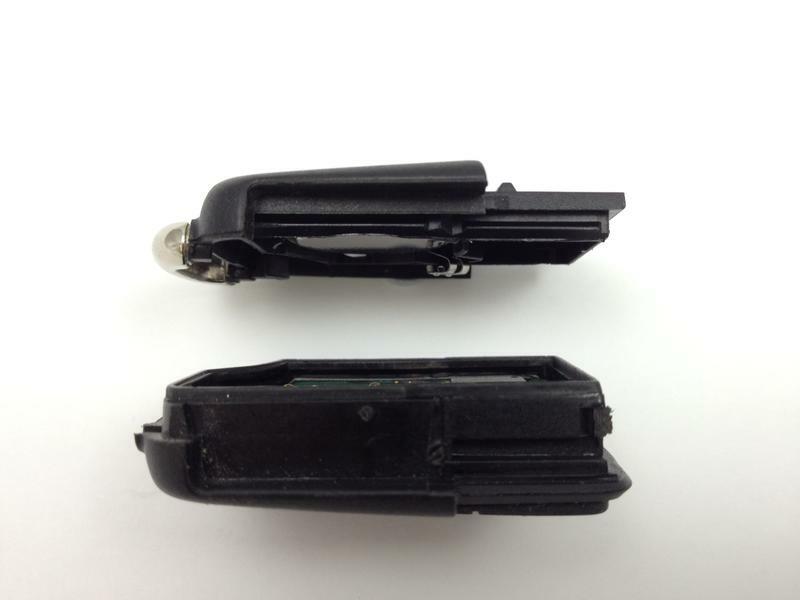 Insert a small flat blade screw driver into the groove and twist. The two parts of the key will come apart. Put the key blade section aside. Turn the remote section on its side and force your fingers or thumbs into the gap and pull apart. Place the circuit board to one side being careful not to touch it. 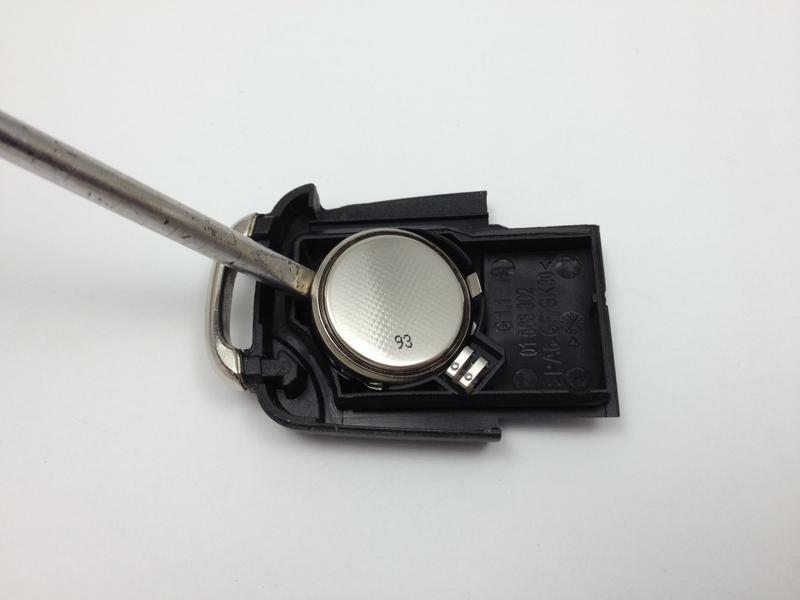 Carefully lift the battery up with a small flat blade screwdriver. 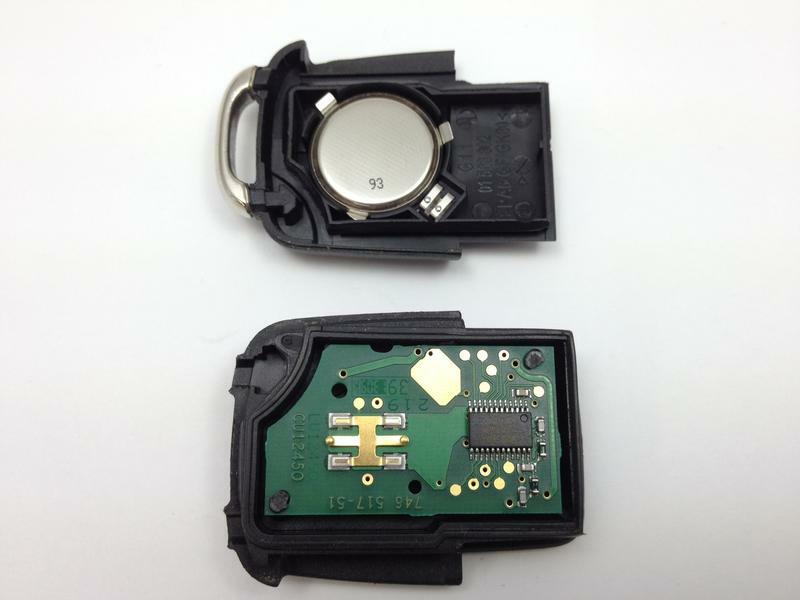 Replace with a CR2032 3V battery (available to buy from this website) with the positive (+) side down. Reassemble and test. A small red light should flash next to the blade release button.